If you think about it, tops are the easiest way to update your wardrobe. 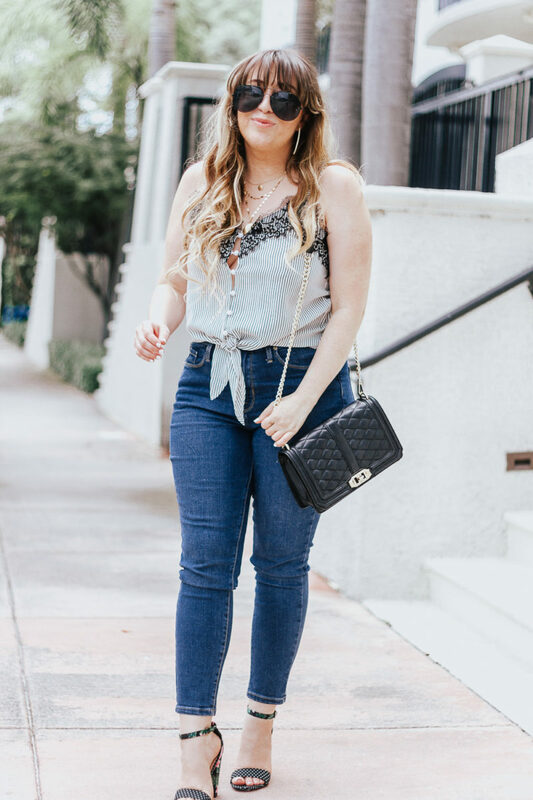 I don’t know about you, but when I love a pair of jeans, I basically live in them. I don’t really want to switch it up all that often, if something works, I stick with it. Who even notices that you’re wearing the same jeans? No one. (Unless they’re really distinctive!) So it stands to reason that if you’re building a wardrobe, it can be just as simple as picking up some cute and affordable tops. 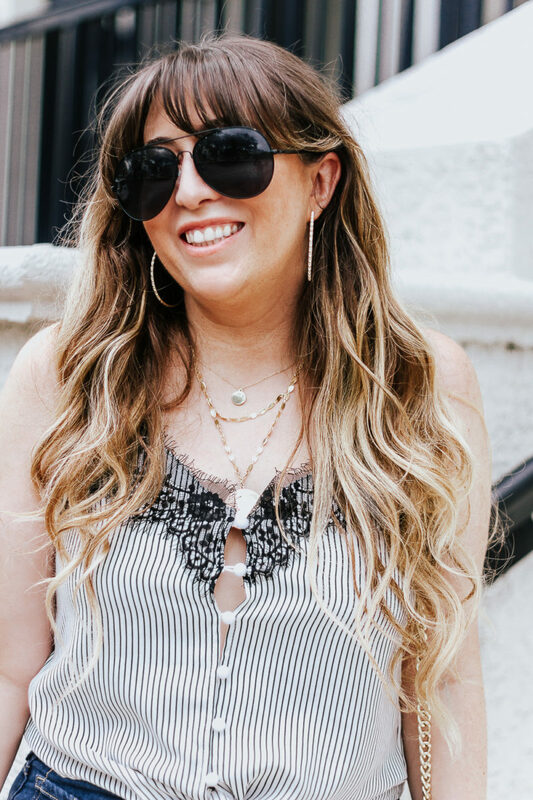 I’ve recently gone on a bit of a top binge and scooped up tons of affordable, easy tops for summer. I love this cute little tie top! 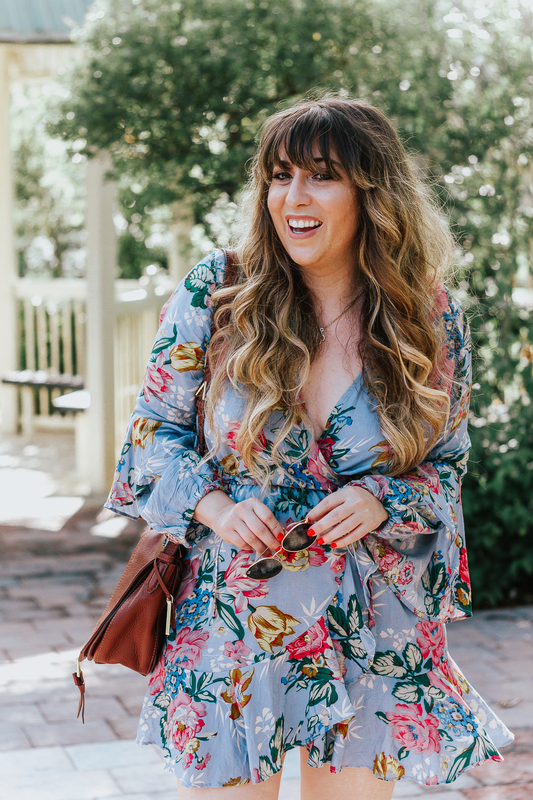 The stripes, the lace, the tie detail… I can tell I’ll wear it a ton this summer, paired with jeans, paired with shorts, maybe even with a few skirt… I think it’ll be a really good piece… plus, it’s only $9! SUCH a steal. I was impressed with the quality, especially considering the price. Note that it does have a hook-and-eye closure at the front, so if you’re feeling a little shy, you might need to do a black bralette. I am wearing a size large, I didn’t want it to be too tight! 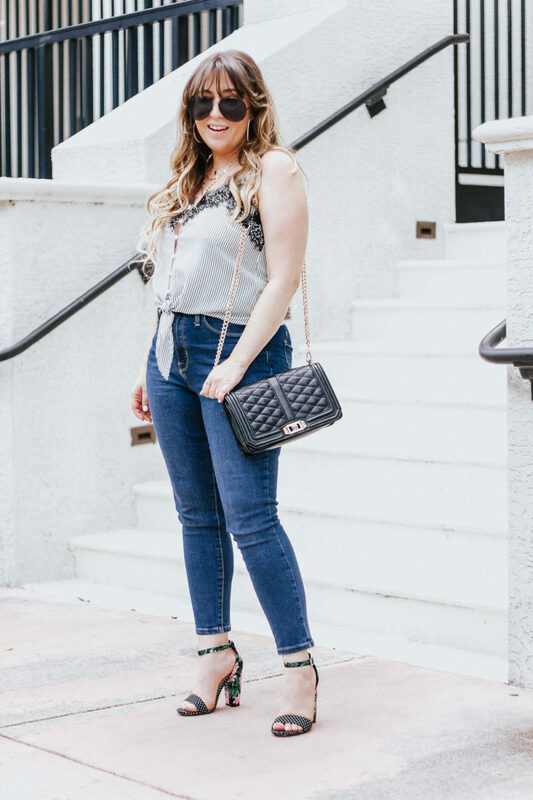 I paired this cute little stripe top with these fun heels that I just got in from JustFab. (They’re $39.95 and available in 6 colors!) I loved the mix of the polka dots and the palm/floral print heel. They’re just fun summer shoes, aren’t they?? They’re pretty true to size, in case you had questions. Thanks so much for reading! I hope you had a great weekend and are excited for the week! Hit the comments and let me know: what fun plans do you have coming up? ?